"River Drivers, West Branch of Penobscot, Me. 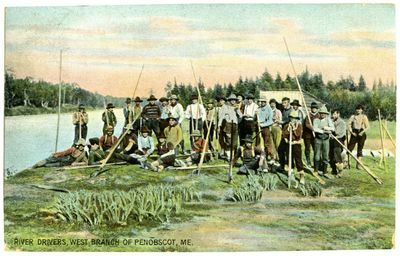 Postcard "
A postcard depicting a large group of river drivers standing on the bank of the west branch of the Penobscot River in Maine. The postmark on the back of the image is dated 1908.